It is so easy to make this Copycat Red Robin Freckled Lemonade at home! 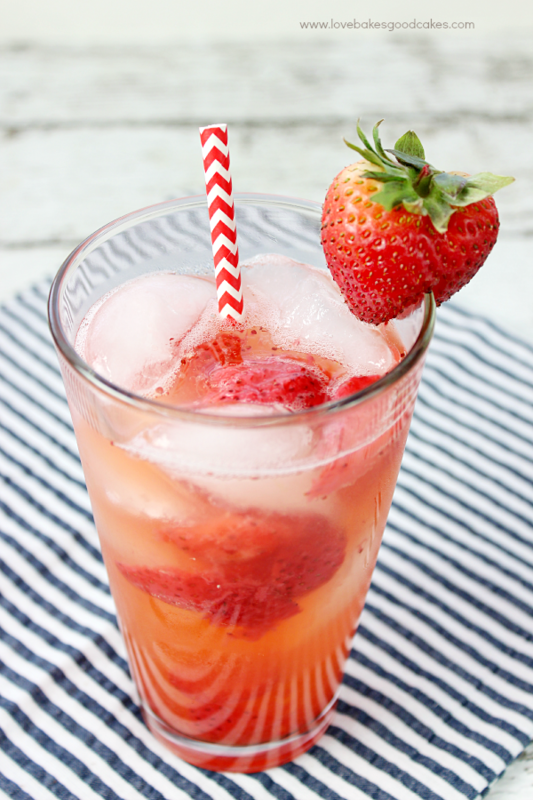 It’s the perfect drink for summer! We don’t eat out a lot, but when we do, Red Robin is one of our favorite restaurants. We love the fun family-friendly atmosphere and the burgers are among our favorites. I can’t even pick a favorite burger because I love them all. If you are familiar with Red Robin at all, you have probably heard of their Freckled Lemonade – and maybe, you have tried them for yourself?! If you haven’t, order it the next time you’re there – it’s the best!! 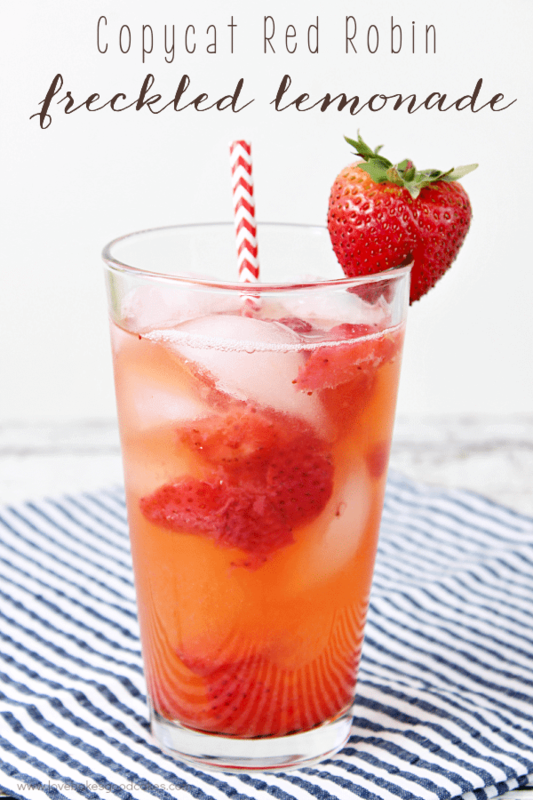 I am not much of a soda drinker, but I love a good fruity fresh drink! Red Robin’s Freckled Lemonade is a necessity for me every time we visit – I just LOVE it! Since we don’t get to Red Robin very often, I have a copycat version that I love! I love that I can make one of most favorite drinks at home and it couldn’t be easier! You could use your favorite lemonade recipe in place of the one I share below – or you can buy lemonade at the supermarket if you prefer. 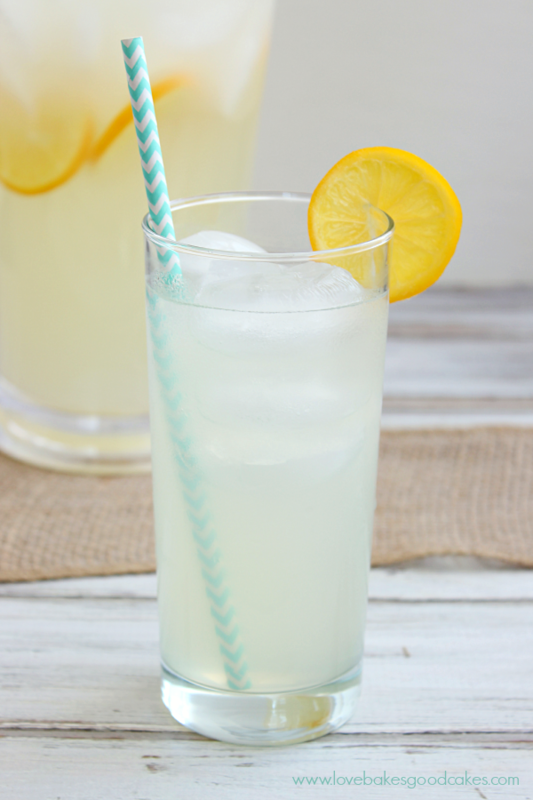 I’m kinda picky about my lemonade – I like it perfectly tart and sweet, so I use my homemade lemonade recipe for this! But do what works for you! 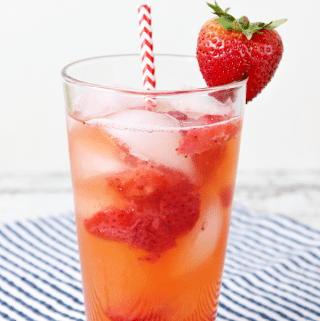 It is so easy to make this Copycat Red Robin Freckled Lemonade at home! 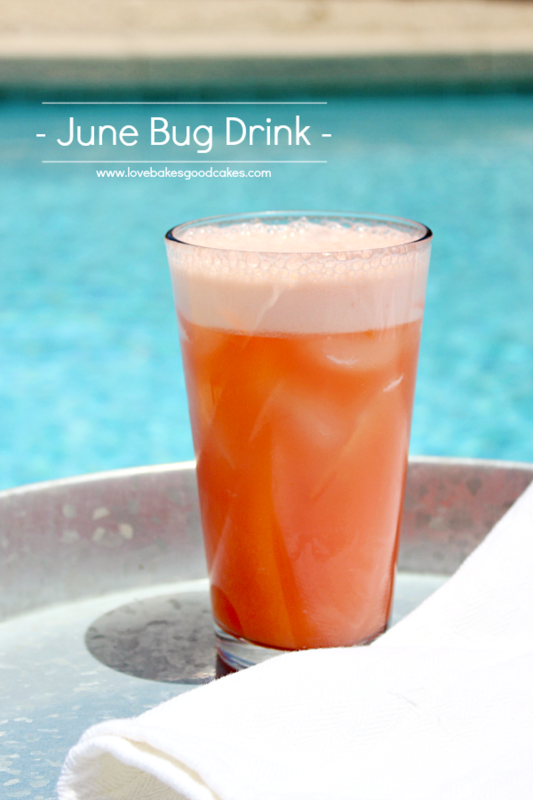 It's the perfect drink for summer! Combine the sugar and water in a pot. Bring the mixture to a boil and stir well to ensure all of the sugar is completely dissolved. Remove from the mixture from the heat and chill it for at least an hour in the refrigerator. Once the mixture has cooled, combine the sugar-water mixture with a pinch of salt and lemon juice in a pitcher. Store lemonade covered in the refrigerator. Place 1 tbsp of the frozen strawberries with syrup in the bottom of a glass. Fill glass with ice. Place another 1 tbsp. of the frozen strawberries with syrup over the ice. Fill glass with lemonade and stir gently. Garnish glass with a fresh strawberry, if desired. Serve immediately. This looks refreshing as can be Jamie and wish I could try it now! Pinned and shared! I love this great strawberry lemonade drinkie thingy!! Sounds so fun!! This looks so refreshing Jamie! I can't believe I have NEVER been to Red Robin! 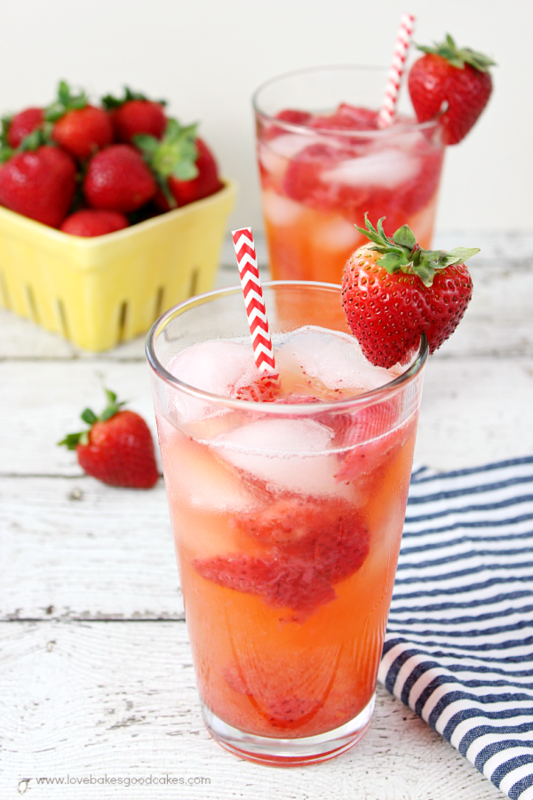 It's on my summer bucket list and now this drink is too! 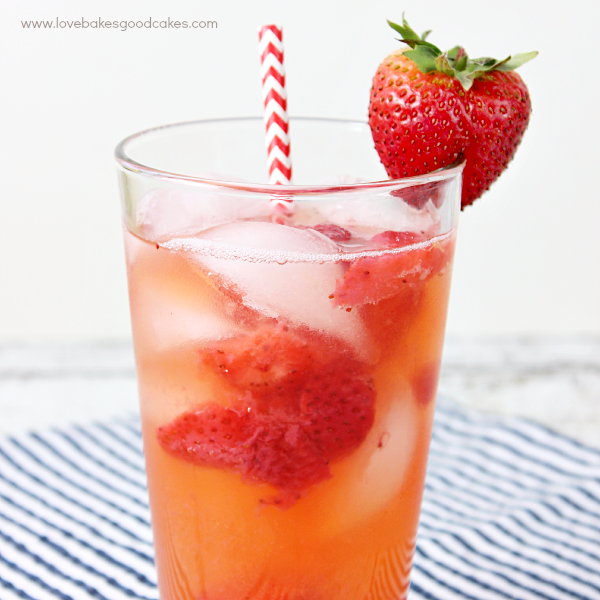 This is the perfect drink to refresh with! I love it! it looks amazing! i want to know how to make the lemonade cake that Red Robin serves. It is wonderful.